Jerald H Ratner, MD a clinical and forensic experienced psychiatrist applies psychiatric expertise to legal matters. He has received Board Certification from the American Board of Psychiatry and Neurology with an expertise in forensic psychiatry. Legal Nurse Consultant Certified with 11 years experience working with plaintiff and defense firms. Dr. Joshua Schwimmer is a Columbia-trained, double board-certified, full-time practicing nephrologist and internist based in New York City. He is on the medical staff at Lenox Hill Hospital in Manhattan and is an Assistant Professor of Medicine at the Hofstra Northwell School of Medicine. KPG Medical-Legal Consulting offers quality services to organizations in need of medical records review, interpretation, or analysis. 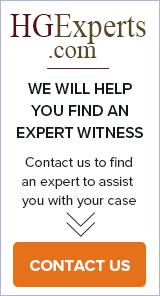 We offer services for plaintiff as well as defense clients and can locate testifying experts. KTW Associates, a certified legal nurse consultants firm can provide you with nursing and medical expertise, detailed case evaluation and professional support to develop and win medical related cases. Life expectancy calculations based on standard actuarial and biostatistical procedures. Apply these scientific methods to data on children born with cerebral palsy (CP), persons in the vegetative state (VS), and to those who have suffered spinal cord (SCI) or traumatic brain (TBI) injuries. We help attorneys win cases. Legal Nurse Consultant have the expertise to help attorneys translate medical terminology, summarize charts, assist with depositions, and discovery. I am a registered nurse with over 28 years of experience in various areas and I WOULD LIKE TO SAVE YOU TIME & MONEY by making sense of the medical record. McGuckin Methods International (MMI) is a Listed Patient Safety Organization with the Agency for Healthcare Research and Quality U.S. Dept. of Health and Human Services.